A goalkeeping error from the usually reliable Jean-Francois Gillet cost Torino a point away to Lazio on Sunday evening. Alexander Farnerud was the surprising name on the Torino team sheet, as the Swedish midfielder had not made an appearance all season due to injury. Toro were grateful to Gillet in the opening stages, when the Belgian keeper saved Antonio Candreva's shot which was heading for the bottom corner. However moments later the home side took the lead thanks to Lucas Biglia's excellent free kick. Lazio could have doubled their lead, but the outstanding Candreva saw his shot hit the post from an acute angle. Toro almost scored an equaliser before half time, but despite an exquisite first touch, Alexander Farnerud blazed his volley over the bar. 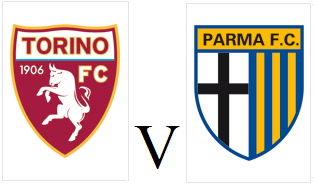 However, Torino would get their equaliser at the start of the second half when Michael Ciani's attempted interception fell into the path of Farnerud who fired the ball past former Toro keeper Federico Marchetti. However, just seven minutes later Gillet parried a long range Candreva free kick into the path of Miroslav Klose, and the German World Cup winner made no mistake to give Lazio all three points. 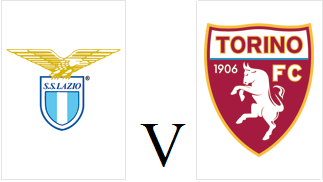 Torino will look to make it back to back victories for the first time this season when they travel to Rome to face Lazio on Sunday evening. Captain Kamil Glik will return to the squad after suspension, but may face a struggle to regain his starting position after a number of impressive performances from Pontus Jansson. Fabio Quagliarella has scored 80% of Torino's league goals this season and will need some support in that department, he should be joined upfront by Amauri who scored his first Granata goal against HJK Helsinki in midweek. After a slow start to the season, Lazio have been in excellent form having won their last three matches, with Serbian striker Filip Djordjevic scoring five times in that period. Torino can take a step closer to qualifying for the last 32 of the Europa League when they face HJK Helsinki on Thursday evening. The Granata won their last game in Europe in dramatic fashion, as Fabio Quagliarella's injury time penalty gave them a deserved victory against Copenhagen. Daniele Padelli, Nikola Maksimovic and Josef Martinez are all expected to start for as Giampiero Ventura rotates his squad. HJK have already won their domestic league, but come into this game having lost their opening two Europa League fixtures without scoring. However, Gambian international Demba Savage could cause Toro problems, as the winger has scored eleven league goals this season. Torino secured their first home win of the Serie A season with a convincing victory over in form Udinese on Sunday afternoon. Swedish defender came into the starting eleven to replace the suspended Kamil Glik, whilst former Udinese striker Fabio Quagliarella was joined upfront with Amauri, who has yet to score for this new club. Cristian Molinaro, who was surprisingly selected ahead of Matteo Darmian had Toro's first chance, but his volley from Cesare Bovo's cross hit the side netting. At the other end, former Chievo striker Cyril Théréau saw his header sail narrowly wide of the post. Giuseppe Vives was taking up advanced positions in the Toro midfield, and after an excellent run the veteran midfielder was unlucky to see his shot rebound off the post. The home side were continuing to create chances and Amauri was some how denied his first goal for the club as goalkeeper Orestis Karnezis saved his header on the line. However, Torino finally took a deserved lead on the hour mark, and once again it was Fabio Quagliarella who scored it, as the Italian striker steered a header into the far corner. Udinese should have equalised, although Théréau somehow blazed a volley over the bar from only six yards out. Giuseppe Vives, who wore the captain's armband in the absence of Glik almost capped a fine performance with a goal, but his long range strike was tipped over the bar by Karnezis. Torino held on for a crucial victory which moves them up to 12th place in the Serie A standings, although the fact that 80% of their league goals have been scored by Fabio Quagliarella could become a problem as the season progresses. Fabio Quagliarella's wonder goal was not enough for Torino as they succumbed to a 2-1 defeat against Napoli, despite taking the lead. The Granata surprised many by playing two recognised strikers as Marcelo Larrondo joined Quagliarella upfront, whilst there was also a rare start for Marco Benassi in midfield. Toro made a bright start and Kamil Glik had already went close before they took the lead in sensational fashion after fourteen minutes. Nikola Maksimovic's long ball was instantly controlled on his chest by Fabio Quagliarella who then finished spectacularly with a volley from a difficult angle. The home side should have been level shortly afterwards, after a mistake from Maksimovic gave Lorenze Insigne a great opportunity, but the young winger hit the post - whilst Gonzalo Higuain was denied on the rebound. Jean Francois Gillet has impressed since returning to the starting eleven, and he made excellent saves to deny Insigne and Gokhan Inler. However, Insigne finally got his goal as somehow the smallest man on the pitch was left unmarked to head home Juan Zuniga's fine cross. 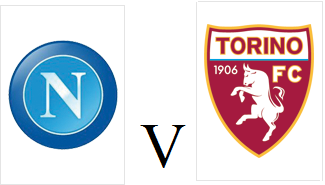 Fifteen minutes later Napoli took the lead when substitute Cristian Molinaro lost Jose Callejon at the far post, and the Spaniard's effort fortuitously looped over Gillet in the Toro goal. Torino had an appeal for a penalty turned down in injury time by referee Davide Massa, despite the fact Zuniga appeared to handle the ball in the area. Things got even worse for the Granata after the final whistle as both Kamil Glik and Omar El Kaddouri were sent off for protesting the referee's decision. The home side were also in European action in midweek, and despite victory over Slovan Bratislava they have struggled in league action and are yet to win at the San Paolo this season. The Granata will welcome back the impressive Bruno Peres to their squad, as the Brazilian has not been registered for the Europa League. Former Napoli striker Fabio Quagliarella has scored in his last three games and will be looking to continue his impressive run of form against his hometown club. Torino won their first group game in the Europa League group stage due to a dramatic Fabio Quagliarella penalty in injury time. Giampiero Ventura surprisingly selected his first choice back three of Nikola Maksimovic, Kamil Glik and Emiliano Moretti whilst Josef Martinez was partnered with Amauri up front. The Granata should have taken the lead after twenty minutes, but Emiliano Moretti somehow hit the bar with a free header from only three yards. Torino continued to create the better chances, and left wing back Cristian Molinaro was only denied by a smart save from Stephan Anderson in the København goal. The Danish side also missed a great opportunity through former Cardiff City striker Andreas Cornelius but he also somehow contrived to miss a free header from a corner. Josef Martinez was proving to be a particularly useful outlet up front, and he used his pace to get a shot on goal but was denied by Anderson. Just when it looked like Torino would be denied, former Bologna defender Mikael Antonsson pulled back substitute Fabio Quagliarella in the area in injury time. Toro have had difficulties from the penalty spot this season, but there was little doubt that Quagliarella would score, and he did so to give Torino a deserved victory, and three vital points. 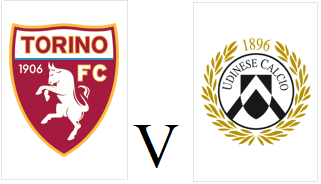 Torino face their first Europa League home game of the season when they face Danish side København at the Stadio Olimpico on Thursday evening. Giampiero Ventura is expected to rotate his squad, just as he did in the opening game away to Brugge, and that may enable players such as Pontus Jansson, Marco Benassi and Josef Martinez to receive some game time. København currently lead group B having beaten HJK Helsinki in matchday one, however their domestic form is not so impressive as they are currently 5th in the Danish league. These two sides have met before in Europe, with Toro emerging victorious in both legs of the 1991/92 Europa league quarter finals.